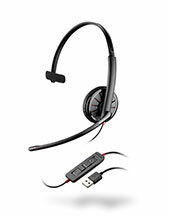 Plantronics Blackwire C3210 Monaural USB Headset is a corded UC headset that provides users top-notch audio quality, helping users to have clearer and better conversations and more enjoyable multimedia experience. This durable headset is convenient to use, considering how comfortable it is to wear and also easy to deploy. It has a soft leatherette ear cushions that shelters the ears from an all-day usage. It can also be positioned depending on user preference for additional comfort. 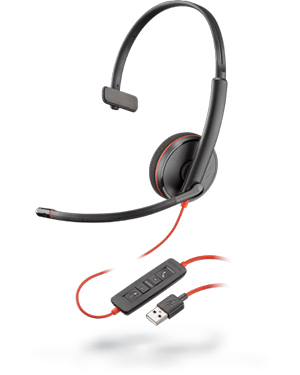 Plantronics Blackwire C3210 Monaural USB Headset also provides users with better work productivity through the support of clearer conversations. With clearer conversations, users get to understand the person at the end of the line better and so would be able to respond more effectively in the process. This is possible through the device with the integration of PC wideband, noise-cancelling technology, Hi-Fi stereo sound, and dynamic EQ feature. Call our company experts through Headsetsonline hotline at Australia wide 1300 131 133 for more information! When Plantronics was founded in the year 1961, all the headsets offered in the market are bulky and large. It responsible for introducing lightweight headsets to the global market, which is actually the main reason why the company was created in the first place, with the leadership of United Airlines pilot Courtney Graham and his pilot friend Keith Larkin. 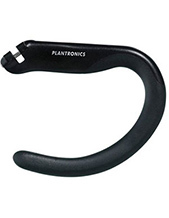 Currently, Plantronics has production and manufacturing floors located in China and Mexico and many partners, distributors, service providers, and retailers in 80 countries in Asia Pacific Region, Europe, and North America. 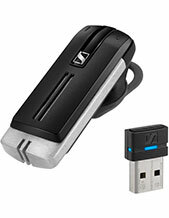 Headsetsonline Pty Ltd is one of the premier wholesale suppliers of audio devices, solutions, and systems in Australia. The company was known to be a new division of another company that has been supplying corporate sectors and government agencies with high quality headsets since 1998. It is popular for is popular for its broad selection of high quality audio products and solutions in brand new and refurbished conditions. In fact, the company is able to deliver Australian standards certified products and solutions from Australian distributors coupled with warranties that can be used Australia-wide. Headsetsonline offers its entire product portfolio for customers’ convenience through its online store located at the company’s official site, Headsetsonline.com.au. With operating through enterprise-encrypted and secured site, customers are guaranteed to be protected while doing their online shopping. It even uses the same security logins that banks today use, which pretty much reflects how serious the company is when it comes to customer security and protection.